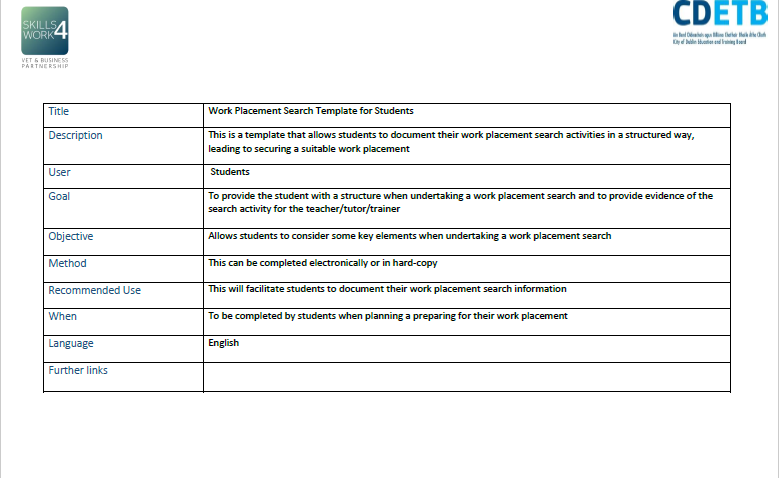 This is a template that allows students to document their work placement search activities in a structured way, leading to securing a suitable work placement. 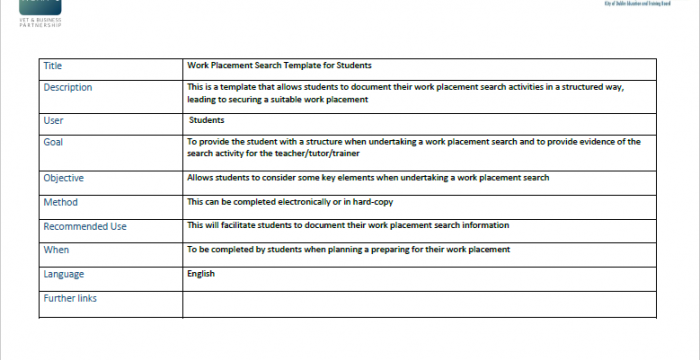 This resource is aimed at students to provide them with a structure when undertaking a work placement search and to provide evidence of the search activity for the teacher/tutor/trainer. It will also allow students to consider some key elements when undertaking a work placement search.